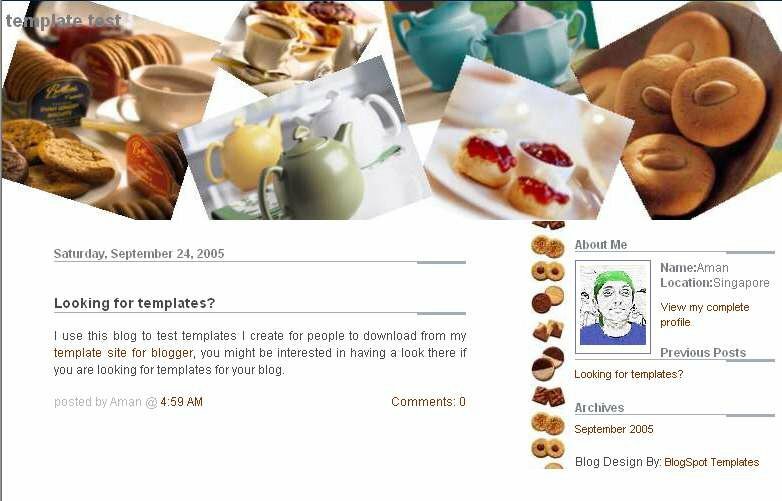 hey!ive been using on of your templates for a long time now....can i request? can you put out something greena and fresh? something...with just a plant or flower in focus...in a pastel green...refreashing to the eye. i hope you could do it...pretty plesae? thanks! 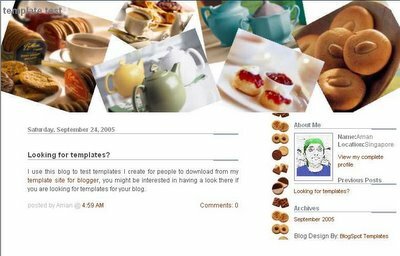 Hi Aman, I'm new using blog and I would like to use your Tea N Biscuit templates. How to use your templates? You have a great eye! I love your templates. Do they change often? I saw that some others put in requests....have you thought or already done a template with green/earthy tones? Blades of grass, simple images??? Hi! I love your templates but i dont know how to use that. You can help me please? I would like to knoe how I can change the header to suit my site ? Hi, I chanced up your site and thinks that you got great great talent. Just wondering any idea if you have some cupcakes related header. Thanks so much. Just wanted to let you know that I used the coding for this template on my site, but I've changed all the images to suit the theme of my blog. I left the link intact to give you credit for your coding. Nice work, and thanks for keeping things free. I love this template. My nickname is 'teacup' and this fits don'tcha think? 'Your template could not be parsed as it is not well-formed. Please make sure all XML elements are closed properly. 'i tried using your directions for the photobucket thing.. I can't seem to get this to work, can someone help me?? Thanks! !